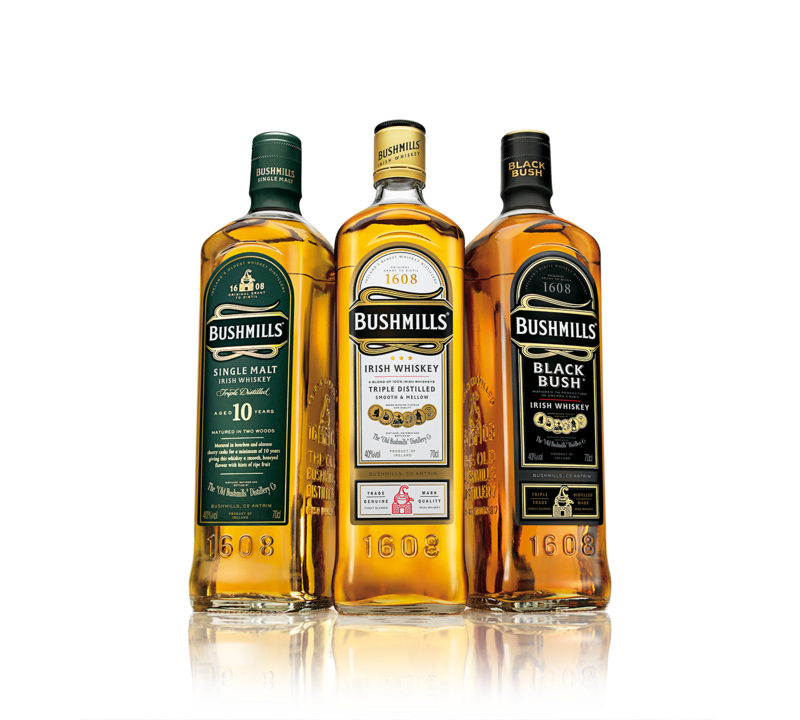 The town and people of Bushmills have been at the heart of the brand for 400 years. Their experience and ability achieve a superior whiskey. 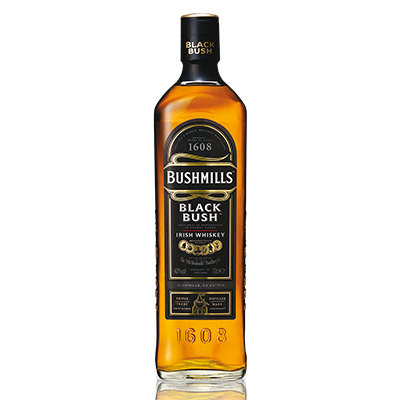 In the small town of Bushmills, is Ireland's oldest functioning distillery. 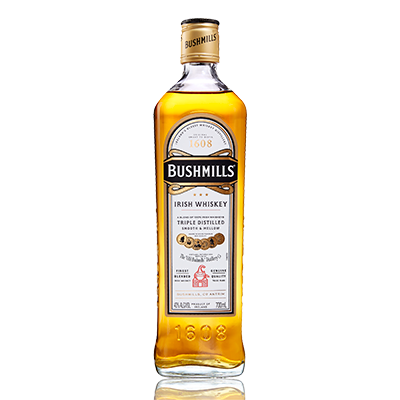 For 400 years the Old Bushmills Distillery has remained true to the philosophy with which it was born: to hand-produce small batches of an exquisite, unique and soft Irish Whiskey. Malt Whiskey from Triple Distillation made only with malted barley and matured in high quality casks. 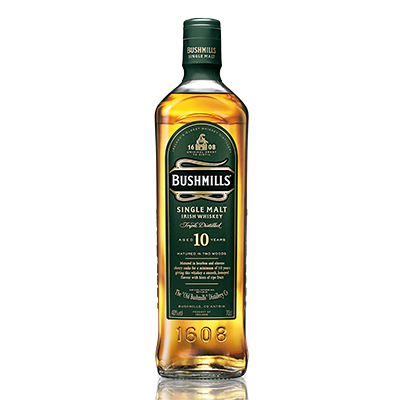 A smooth and different flavor, it is the result of using 100% malted barley to make a Triple Distilled Malt Whiskey.